Attracting Generation X - The Forgotten Generation of Meeting Attendees - Redstone Agency Inc. Originally featured on Corporate Meetings Network. While Generation X makes up less of the workforce than Baby Boomers, and now Millennials, they still make up a considerable portion of your meeting attendees and organization/association demographic. We tend to hear less about this demographic and therefore plan less around them but forgetting to target this “sandwiched” generation is a mistake! When it comes to your attendees, particularly if planning events for a professional association, Generation Xers probably hit the sweet spot of your active members, or potential members, being senior level and aged 38-52. This means that they have the potential to be the ambassadors for your organization, support succession planning, and provide valuable insights into what attendees and members are looking for. Also, while Baby Boomers are looking to retire and Millennials may be more focused on their personal career projection, Generation X may be in a place where they are ready to be more involved in their industry and affiliated organizations. Most Baby Boomers are slowly becoming less involved, and Statscan projections suggest the labour force will grow by only about 0.5 per cent a year in the 2020s, so this means that many of your targets for engagement are already in the industry. 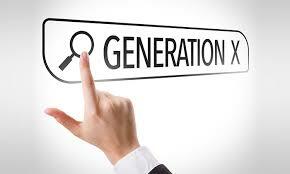 What are Generation Xers looking for? To make sure you communicate the value in your marketing How is it different? How is it forward-thinking? Ensure your topics don’t come across as too similar from the previous couple of years, because they will remember. How is this meeting different? Change up the format of the day, location, presentation style, etc. Ensure your presenters are not recycling their topics from previous years, and consider giving preference to new speakers, if you can do so without sacrificing attendance on popular presenters. Make your events memorable. If they had a great time at your previous event, that will be a strong contributing factor to their attending again. Regardless of some of the changes you make, if the last event was a bore, they’ll trust their own opinion over your promise that this one will be different and innovative. Once you have their attention, keep Generation Xers involved! Avoid losing this generation and creating an even larger gap between Baby Boomers and Millennials. Comment below with other tips and tricks you have used to target this forgotten generation of meeting attendees! Maddy is the Director of Association Management & Consulting Services at Redstone Agency. Maddy has worked with dozens of national and international not-for-profit organizations and is focused on ensuring her clients always receive advice based on best practices and brings a wealth of knowledge in membership engagement, systems and processes management and change management.